It is almost impossible to believe that another year of camp is coming to an end! Reactions from some of the parents I’ve spoken to range from “Why so fast? !” to “Where did it all go? !” to “WAHHHH! !” Because even though all parents miss their kids (so much!) while they’re gone, it is also a rare opportunity in the world of parenting to be alone, recharge, or spend time with just one kid at a time (or two, or three … it kind of depends on how many kids you have). For the campers, it’s a very different kind of experience. Sure, they missed their families, but for a lot of kids, leaving camp leaves them deeply saddened. 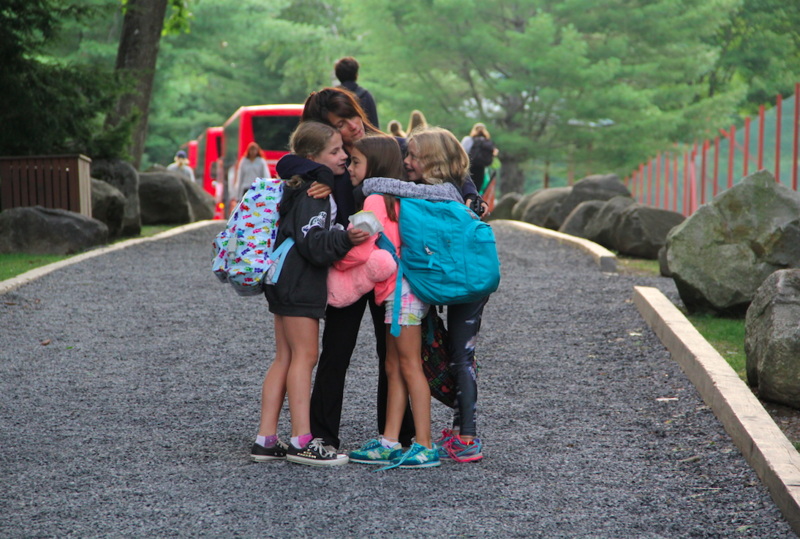 Their hearts are full of a thousand amazing experiences from the summer – making new friends, trying new things, color war events, field trips, campfires – and their hearts are wrenched from knowing the last few days of camp are upon them. Then come the goodbyes, the ride home, and those first few weeks back home, back with screens, away from all their new friends … it can be a tough transition. The trick is to keep those memories alive all year round. If you do it right, the glow of camp stays with you until you’re ready to pack up those trunks again. And one of the best ways to do that is by keeping connected to your camp family. Whether it’s phone calls, texts, social media, or reunions, staying in touch with the people who understand the pang of leaving camp will make it that much easier to go home. When you have camp friends in your life, you’re never alone, because no matter where you all live, you have your summer home in Maine to keep you together. Staying in touch with those whom you hold dearest, your camp friends, also gets you through the ups and downs of the school year. So campers, don’t be sad! Your experiences at camp will never leave you. And parents, never fear! You may be losing your summertime freedom, but your kids will come back to you more independent, more self-assured, and more fully formed. They may even make their own beds! … at least at first. What’s your favorite memory from this summer? Enjoy the last few days of camp everyone!